Paragon Technologies is always working for you. We’re also eager to meet you whenever, and wherever we can! That’s one reason we regularly participate in a number of leading industry trade shows and events, showcasing our services and hopefully getting to know you better in the process. 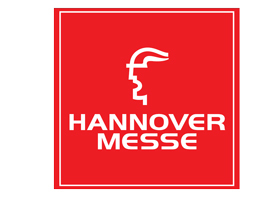 We routinely participate in the largest, most important shows and events in our industry, including the Hannover Messe. We’d love to get to know you better and to show you many additional ways we can help improve your company’s up-time performance with our services. So look for our logo, and come say hello!